From stovetop to tabletop, the All-Clad 3-Quart Casserole with Lid evenly warms food quickly. 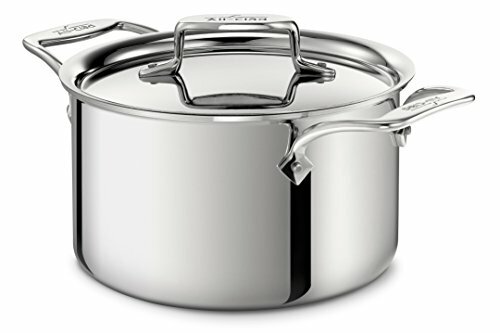 Superior performance and a stylish appearance, the casserole is ideal for frying, boiling, simmering, and slow cooking. Constructed with a durable stainless steel interior, a pure aluminum core and a hand-polished mirror-finished exterior.The lid locks in moisture and heat to thoroughly finish meats on the stove top or in the oven.